﻿ UCCM Building Material Supply Company Ltd. Looking for selection, service and experience on Manitoulin Island and surrounding area? You'll find all the lumber, building materials and hardware you need at UCCM Building Material Supply along with great quality and competitive pricing. Browse our product catalogue. Find what's right for your needs. If you don't see what you're looking for, let us know and we'll get it for you. Ready to start your renovation project? Then now is the perfect time to stop in and meet with one of our professional staff. 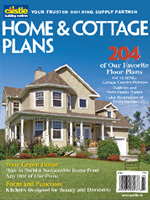 If you're planning on building a new cottage, cabin, home or garage, browse over 2,000 cottage, cabin, home & garage plans online right now (or stop by the store and pick up a copy of our Home & Cottage Plan Book)! Then have UCCM Building Material Supply give you an estimate for all the building materials and hardware. Contractors, get Canada's leading Contractor Advantage magazine, SUBSCRIBE today - it's free! Or, visit the store for our current issue. If you wish to set up an account, please complete this Credit Application. Request a quote. See our current Door Busters and Promotions. Contact us. 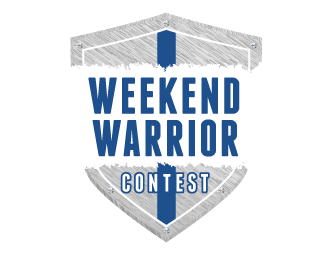 Be sure to come in and visit us to enter our Weekend Warrior Contest!